It was 94 games in the making, but all that did was make it sweeter. 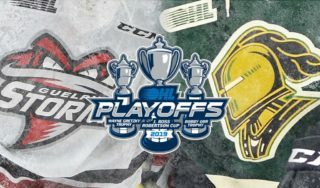 Dorchester’s Riley Coome scored the game-winning goal against the Kitchener Rangers in a 4-2 London Knights victory on Saturday night at Budweiser Gardens. Jordan Kooy made his first start for the Knights since January 4, after missing time with an injury. He stopped 24 shots for his 11th win on the year. Kooy’s start ended 12 consecutive by Joseph Raaymakers. 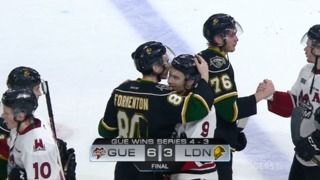 London will be off until Friday, February 8, when they will complete their three-game homestand against the Owen Sound Attack. 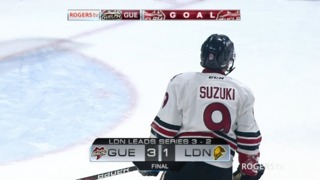 Liam Foudy extended his point streak to 13 games and put London ahead 1-0 just two minutes and 16 seconds into the first period as he snapped a shot past Lucas Pfeil from the right side of the Kitchener zone. The goal also gives Foudy 13 goals in his last 13 games. The score stayed that way until the 5:12 mark of the third period when Isaac Langdon kept a puck in at the Knights blue line and found Greg Meireles in front of the London net. Meireles deked and slid the puck underneath Kooy for a 1-1 tie. Adam Boqvist put the Knights ahead 2-1 as he took a pass from Matvey Guskov, sliced between two Kitchener defenders and lifted the puck into the top corner. Just one minute and 20 seconds later, the Rangers tied the game for a second time as Riley Damiani banged in a rebound. Overtime began to loom and then Riley Coome managed to put his shot through all kinds of traffic at 18:02 for a very memorable first OHL goal. Alex Turko wound up being credited with an empty netter at 19:19 as Joseph Garreffa accidentally put the puck into his own net as he was trying to get away from the forecheck of London’s Billy Moskal. Former Knight Patrick Kane returned from the NHL All-Star break with 896 career points. First up for Kane and the Chicago Blackhawks was a game against his hometown team, the Buffalo Sabres. Kane always seems to find a little extra for games against the Sabres and he found a whole lot on Friday night. Two goals and two assists helped Kane to hit 900 points in under 12 seasons. He is also back on pace to score 50 goals this year as Chicago continues to creep up the standings and back into the NHL’s Western Conference playoff picture. Kane is the fastest American-born player to reach that milestone in National Hockey League history. The Knights will complete a three-game homestand on February 8 against the Owen Sound Attack. The teams have played each other tight this year, but that was before Owen Sound traded away a great deal of veteran talent. 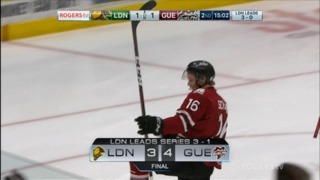 After that London will head to Saginaw and Sault Ste. Marie for games on February 9 and 10.